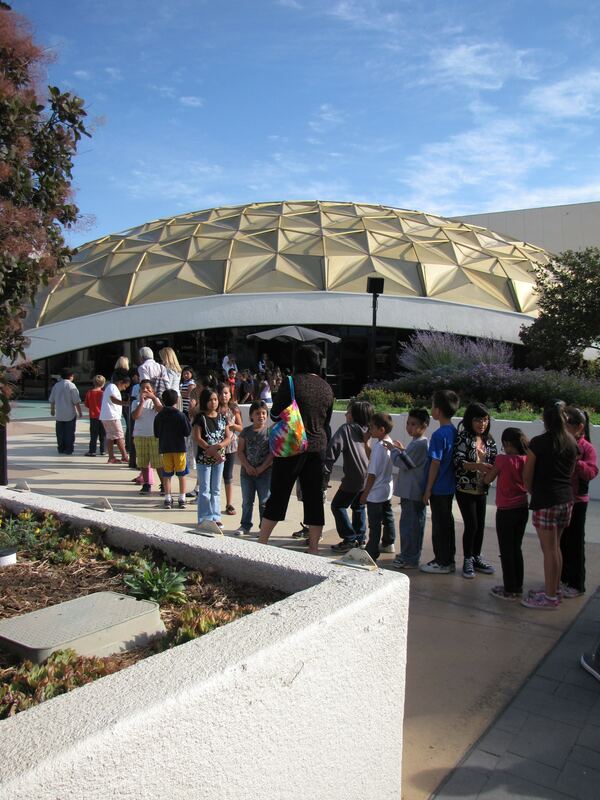 Students entering the Pioneer Center to attend a YPC performance. The Reno Philharmonic, in partnership with the Washoe County School District, presents Young People’s Concerts (YPCs) for over 8,000 third, fourth and fifth-grade students every year. 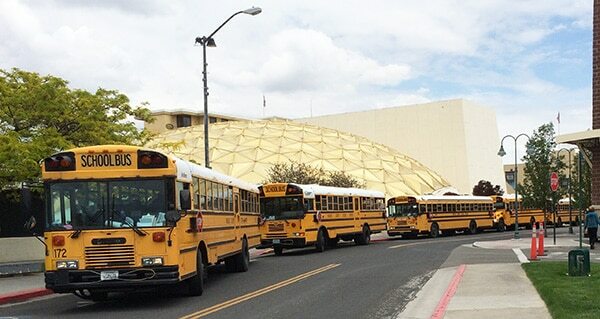 Students travel by bus to the Pioneer Center for the Performing Arts from Washoe County School District schools, as well as from outlying, private, and home schools. This concert experience is intended to provide young listeners with an enjoyable introduction to symphonic music, enhance live music appreciation, and hopefully inspire them to become musicians themselves. Registration for the 2018-2019 YPCs is now open for all schools. The Fall YPCs will feature Mr. Smith’s Bowl of Notes. In the spring, the Reno Phil will perform Carnegie Hall’s Link Up: The Orchestra Rocks. Resources for the fall concert will be sent out digitally. Printed student guides for Link Up are are available for pick up from the Phil office, and Link Up teacher guides are available online.